The Chinese World War Ii parade involved more than 12,000 troops, 500 pieces of military hardware and 200 aircraft of various types, representing what military officials say is the Chinese military's most cutting-edge technology. China launched a major military parade through Beijing on Thursday to commemorate Japan’s World War II defeat while underlining President Xi Jinping’s determination to make his country Asia’s pre-eminent power. The spectacle involved more than 12,000 troops, 500 pieces of military hardware and 200 aircraft of various types, representing what military officials say is the Chinese military’s most cutting-edge technology. Xi kicked off the proceedings with a speech at the iconic Tiananmen Gate in the heart of Beijing, flanked by Chinese leaders and foreign dignitaries, including Russian leader Vladimir Putin, South Korean President Park Geun-hye and U.N. Secretary General Ban Ki-moon. President Xi Jinping at the World War II parade. 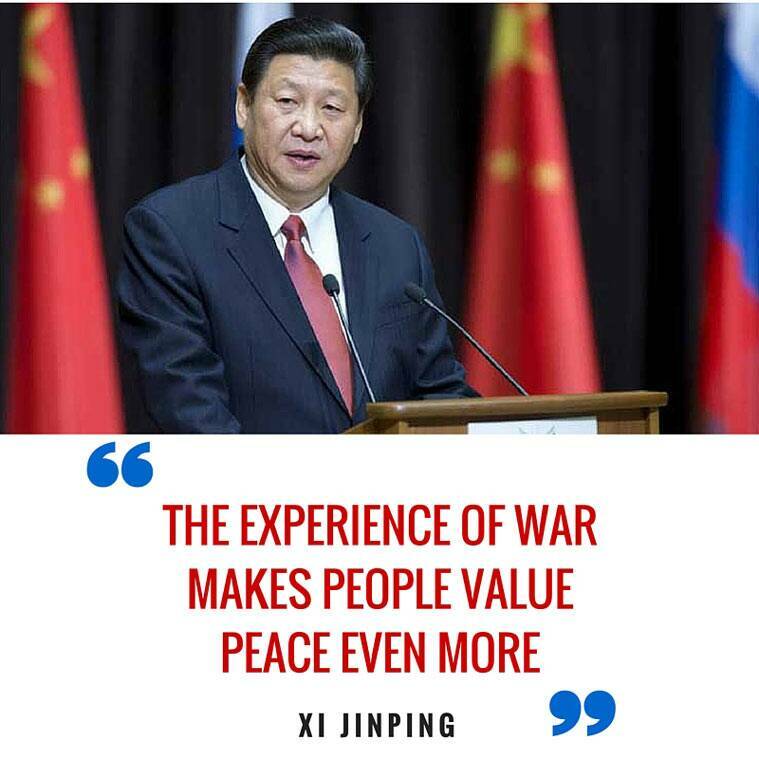 “The experience of war makes people value peace even more,” Xi said. “Regardless of the progress of events, China will never seek hegemony, China will never seek to expand and will never inflict the tragedies it suffered in the past upon others.” Xi also pledged to cut 300,000 troops from the People’s Liberation Army, the world’s largest army which currently has 2.3 million troops. Xi then drove past the assembled troops in a Chinese-made Red Flag limousine, standing up through a sun roof with four microphones mounted in front of him, calling out “Greetings, Comrades” every few moments. The parade is part of commemorations of packaged to bolster the ruling Communist Party’s self-declared role as the driving force behind Japan’s defeat 70 years ago and savior of the nation, though historians say the rival Nationalists did most of the fighting. The events also minimize the role of the U.S., Britain and others. Most leading democracies kept high-level representatives away, reflecting concerns over the parade’s anti-Japanese subtext and China’s aggressive moves to assert territorial claims.